Great photo. I like the processing. The damage roof is looking interesting…….. Thank you for the comment, I know I have said this in the past but I really love heading out to that place! Really cool photo, makes me think of the Wizard of Oz. I know that place… great shot. Interesting lines David. I like the way you’ve processed this shot too. Nicely done! Agree with everyone above- mood of the photograph is great! Love how you framed all the roof angles. Really highlights “collapse,” and the toning is befitting. 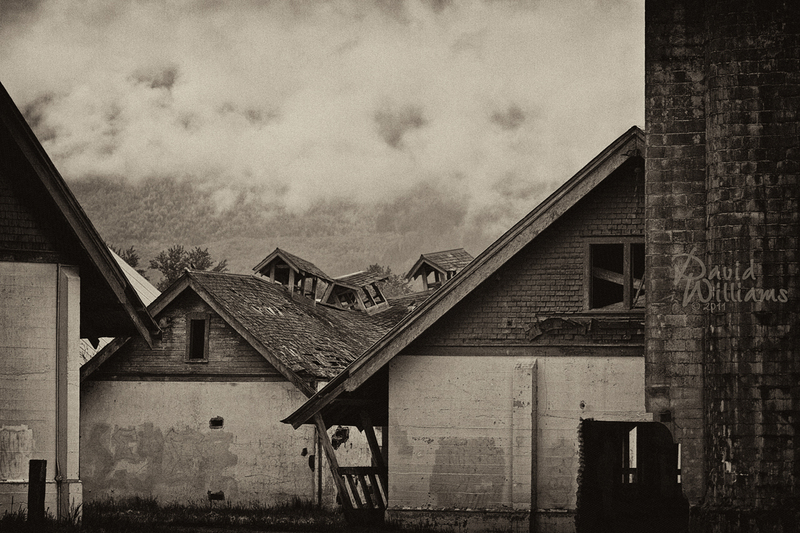 Great shot…the sepia really brings out a brooding mood. Cool Pic. Like the composition and mood of the picture. Great shot David! I love the cloud hanging right in the crook between the rooftops, gives the image such a foreboding look!